For first-time travelers to the remote town of Sapa, there must be a confusion of implementing a trip here, so don’t ignore this useful guide, or you’ll regret. Sapa is a unique tourist destination and different from other destinations. If you have to determine when to go to Sapa Vietnam, it will be complicated to come up with an accurate answer, because in Spring - Summer - Autumn – Winter, all four seasons, Sapa is beautiful and attractive to tourists. When is the best time to go to Sapa Vietnam? The time from April to the end of August every year is the time when Sapa is most crowded because the climate is very suitable for summer holidays of individuals, families or agencies, and Sapa is filled with flowers and the green fields. Besides, the students are vacationing. That also explains why Sapa welcomed many visitors at this time. It is easy to find that it is the season of Sapa tour booking. From the end of August to early September, the rice fields in Sapa ripe and become very beautiful. Many tourists prefer to go to Sapa during the time because the town changes a new cloth - yellow in the hills. You should also come here in the middle or the end of September-October to admire the harvesting scenery in many places. During the period of November-March, the weather becomes freezing, especially at night. In return, you will see the stunning dawn in the early morning. Notably, in recent years, the snow often appears in Sapa. If you come here on this occasion, you will surely witness the quite romantic scene. However, Sapa in winter is very crowded with tourists. So if you do not like the noise and busy atmosphere, you should not travel Sapa at this time. Surely your means is a motorbike. You go straight Hanoi - Yen Bai - Lao Cai - Sapa. The highway is effortless to go with a distance of about 390 kilometers. 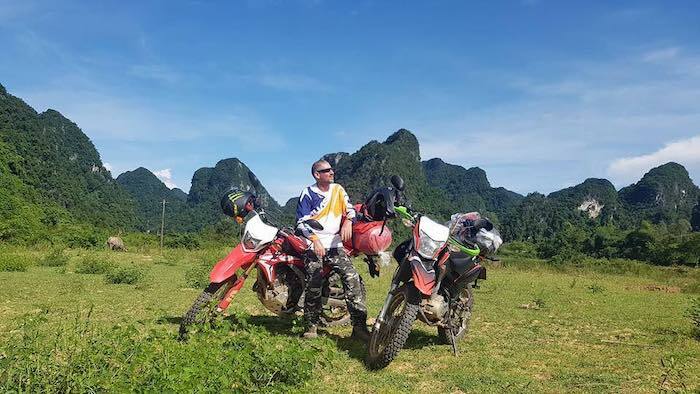 Take a train or passenger bus to Lao Cai station, and from there, you rent a motorbike to Sapa. The winding road from Lao Cai Station to Sapa is only about 40 kilometers. Far away is the green mountain slope and terraced rice field layers. The cost of renting a motorbike is about VND 100,000-200,000/day depending on the types. Alternatively, you can choose to take a bed bus to go directly from Hanoi to Sapa. The bus will stop at Lao Cai station for about 30 minutes to drop those who go to Lao Cai off and then continue to take other passengers to Sapa. The majority of visitors to Sapa choose a train for their trip because it is cheap - safe - convenient and time-saving. However, there is a downside that trains only take you to Lao Cai station, and then you have to catch a taxi to go to Sapa. Train ticket to Sapa (Hanoi - Lao Cai) has many types. The average price is VND 130,000-600,000 for standard seats, while the tourist trains are more expensive, about VND 650,000-750,000/way. 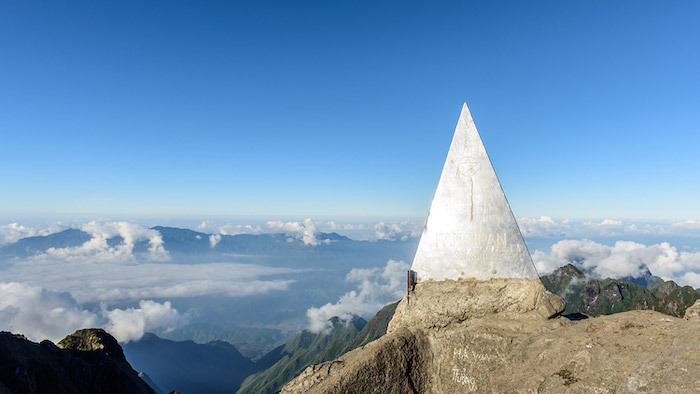 Besides, you can choose one of the Sapa cheap tours through a reliable travel agency so you won’t have to worry about the vehicle during the trip. 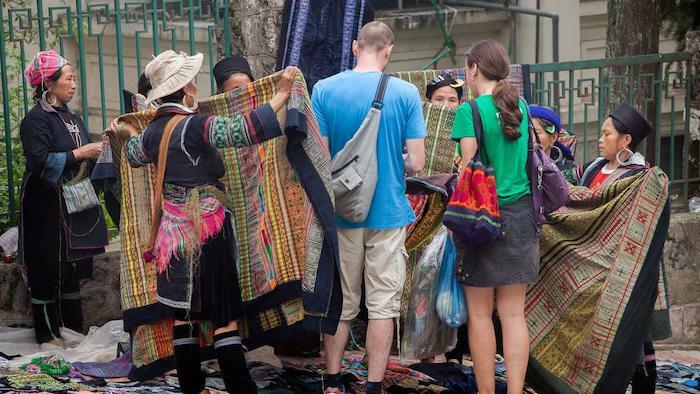 The weather of Sapa varies from day to day, so tourists need to prepare sufficient clothing suitable for the climate. You should bring clean and lightweight outfits. Summer in Sapa is cooling, so you can wear regular clothes but still need a coat. The winter is freezing, so warm clothes, gloves, towels, wool cap are necessary. Due to the specific terrain and ideal tourist spots of Sapa which are a walk to explore, visitors will have to walk a lot. To make your legs comfortable, you should prepare a pair of sports shoes. Most of the hotels in Sapa require guests to submit their ID cards for temporary registration (or passport, driving license). Furthermore, if you want to rent a motorbike, bring a driver's license to make sure the trip is not interrupted. You should prepare some personal belongings for the trip such as glasses, masks, towels, gloves, etc. These will help you to protect your eyes and health when passing a long way or through the mountains, forests. Besides, you also have to carry toothbrushes, towels, toothpaste. They are available in hotels, but the quality is not good. Bring a camera to save beautiful moments also. As the journey is mainly on foot and takes a lot of energy, you should prepare some cakes, milk, chocolate, and candies. It will be beneficial for you on the way, and primarily, the candy can be used as gifts for ethnic children. We hope that the above information will be helpful for your trip to Sapa. For further information, feel free to contact us or visit our website. Please like and share the article if it is useful for you. Thank you and have a nice trip!